To understand holistic medicine, and holistic dentistry in particular, we must first look at the origin of the word itself. Holistic comes from the Greek word holism, a term that means total, whole, and entire. 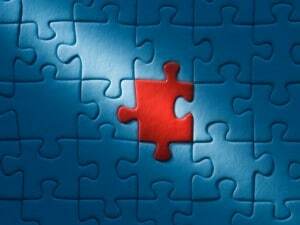 Holistic dentistry, like other holistic practices, looks at an individual as if they were a puzzle. Like a puzzle, patients are an intricate system of different pieces that are interconnected, each one affecting the next. This also reflects the idea that a single system, like a human being, is more than the sum of several individual parts. Holistic medicine uses this concept when treating patients. For holistic dentists this idea means looking at much more than simply the teeth and gums. At Assure a Smile, we like to think of holistic dentistry as being people dentistry; an examination of the entire patient. Dental cleanings for example, begin with a full TMJ scan to better understand the entire head, neck, and jaw area of a new patient. This is important because a patient may experience pain or discomfort in their mouth that is actually caused by a problem located outside of their mouth. These problems are often overlooked by traditional dental cleanings that do not inspect the head, neck, and jaw. Patients are often referred to other specialists as a result, prolonging diagnoses of the problem. Holistic dentistry also seeks to preserve teeth in the most natural state possible. Excessive drilling, grinding, and tooth removal are avoided and typically reserved as a measure of last resort. Instead, non-invasive procedures are used to straighten, strengthen, and enhance oral health. Perio protect is one such system Assure a Smile recommends to patients with gum disease. Invisalign clear braces are another non-invasive treatment Assure a Smile offers, specifically to patients who wish to realign their teeth for both aesthetic and hygienic reasons. These treatments are safe relative to other traditional chemical and invasive treatments, respectively, helping to preserve long term oral health.